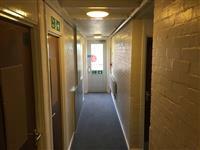 Services / facilities within the building include 14 single rooms and a kitchen on each floor. 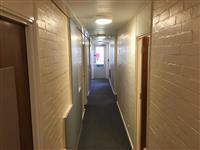 Each room has a washbasin and each floor shares three toilets and three showers. 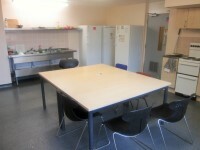 The kitchens are large and provide space to prepare meals as well as for socialising. Related link Battersea Court - Reception. Telephone Number: 01438 682 002. Staff take mandatory e-learning courses on diversity, which includes a module on disability. 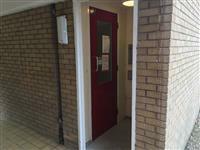 You are on Access to Surrey Court - Tillingbourne. Skip to the next section. 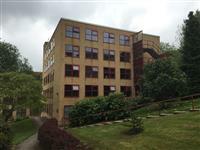 Surrey Court - Tillingbourne is located on a hillside. 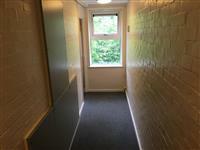 There is stepped access to all Surrey Court residencies. The steps in most cases do have handrails but are not always clearly marked. There is stepped access at this entrance. The width of the door opening is 75cm (2ft 6in). The step(s) is / are located to the right as you face the entrance. There is / are 1 step(s) to access the entrance. A key is required for access to each floor. There is clearly written directional signage at key points of circulation routes. You are on Accommodation. Skip to the next section. Some of the rooms have auxiliary aids for people with sensory impairments. Available auxiliary aids include flashing alarms and vibrating pillows. Flashing fire alarms are available on request. Vibrating fire alarms are available on request. Ground floor rooms do not have level access. 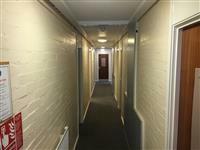 Rooms are located off the main corridor. Adjoining rooms are not available. There are standard rooms on other floors. The other floors cannot be accessed by lift. The floors which are accessible by stairs are G, 1, 2, 3 and 4. The stairs are located just beyond the main entrance. There are 14 steps between floors. There are manual, heavy, single doors to access the stairwell on all floors. The area(s)/service(s) on the floors which are not accessible is/are additional flats.